I found this tart really easy to make. Maybe it’s because I was prepared and organised. I read the steps, organised my self and over a couple of days I completed one stage at a time. I made the dough after picking up the 10 year old from school with a bunch of his friends. As they ran riot around the house, I whizzed up the dough, pressed in the crust and placed it in the freezer before dragging them all off to karate. I cut and dried the oranges that same night while negotiating with my 13 year old daughter a camping trip being planned on facebook with 7 boys and 7 girls at a site only accessible by boat or an hour and 1/2 bushwalk! The next morning my 10 year old had early morning try outs for the school Eagle Tag team so we were up early and I had time to blend up the hazelnut cream and leave it in the fridge to chill. And while waiting for the 3 year to finish dance class in the afternoon, the tart was easily assembled and put in the oven to bake! I am never organised or prepared! Most things I squeeze in at the oddest moments with never enough time or the right equipment and ingredients at home! So this was such a pleasant experience! Until I decided to go through the 13 year old’s closet and pull out clothes she no longer wears while the tart was baking. I lost track of time and burnt it lightly singed the edges. I do think almonds would have been better, the hazelnuts have a very strong and distinct taste. But well worth the time and effort. For the almond version and many more variations check out French Fridays With Dorie! 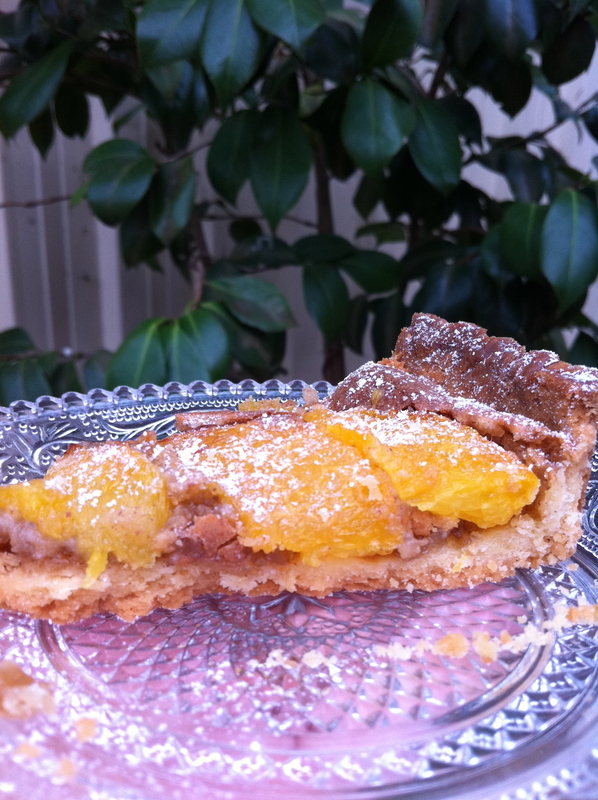 Tags: baking, cakes, cooking, food, french fridays with dorie, recipes, tarts | Permalink. My crust got a little dark, too, but still delicious! Isn’t it amazing how our children take over our lives????? Your tart looks wonderful! Dessert for breakfast? Not bad at all! I tell my husband it’s a very European thing do as I eat my Pavlova for breakfast! Your tart looks delicious. Using hazelnuts was a good substitution. Kudos for being organized and prepared! Thank you and we are still in “negotiations”! But there seems to be a lot of parents volunteering to go (to keep a very close eye on them) so looks like it might go ahead! It looks beautiful! That’s also good to know about the hazelnuts as I was considering trying it out that way. 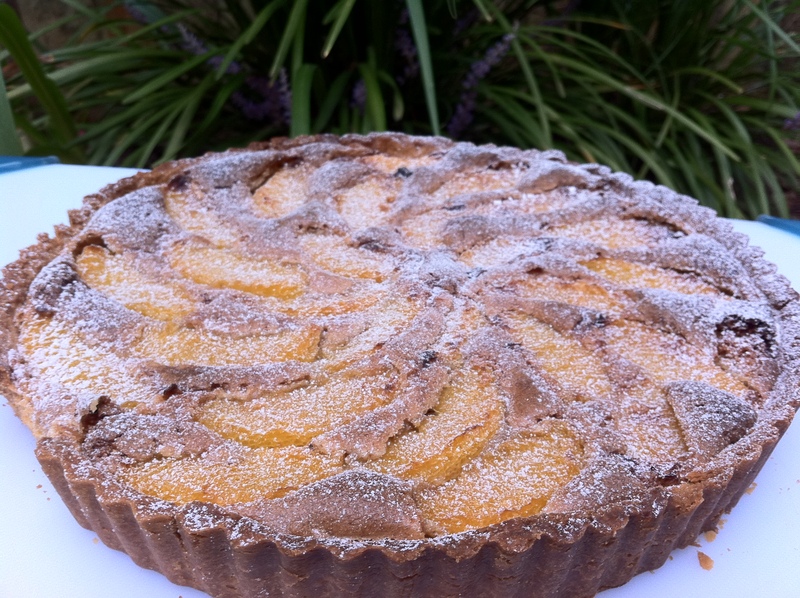 Beautiful looking tart! I was thinking that making this with hazelnuts would also be delicious, so I’m glad you had good results. I burnt my crust too. Poop. Love your photos though! I love that you tried it with hazelnuts! I am always interested to hear how others fit blogging into their otherwise hectic lives. I find myself squeezing it in at the oddest moments as well. I thought about doing a hazelnut version, I think it looks great even though it is slightly brown. 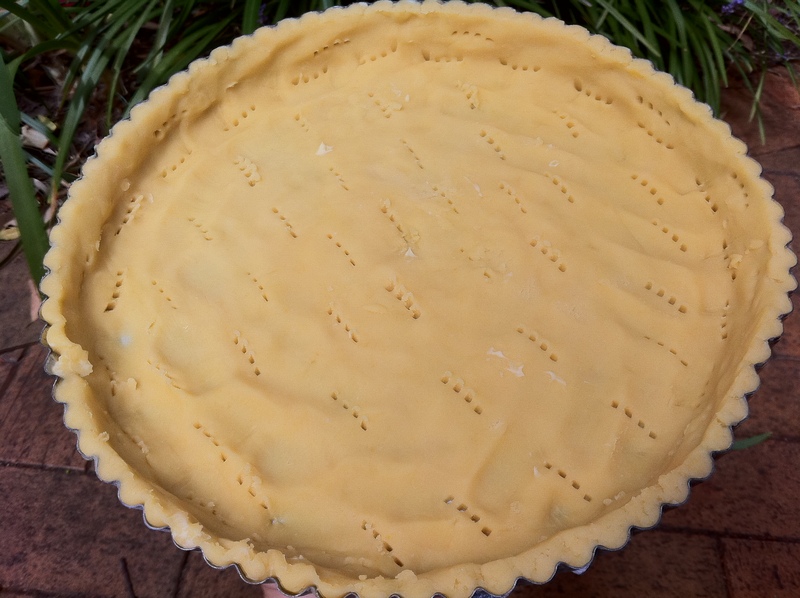 I am so glad that you had such a pleasant experience making the tart especially with all that you had going on. I bet the hazelnut pastry cream was delicious. 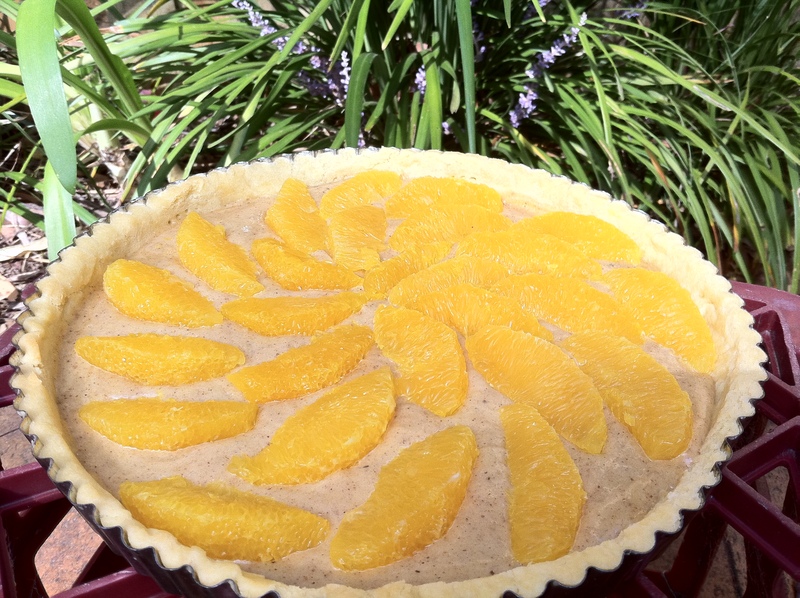 Your orange slices on your tart are making my mouth water! The hazelnut filling tastes so much better the next day! I’m really surprised at what a difference there is in flavour since yesterday! I was a bit unsure about the combination of flavours when I first made it but am really impressed with it now! Made my husband try it (under duress as nutty tart things are not his thing) and he can’t stop raving about it! Isn’t it awesome that a multi-step recipe can be broken down and squeezed in your busy schedule? I would love to try making it with hazelnuts next time (with poached apples!). Beautiful tart ! I too try to multi-task though I often think I tempt the food gods when I do this….but you managed to deal with family and get a great dessert 🙂 Great job. You know what I found interesting, the flavour was so much better the nest day. It tasted incredible! I have a teenager in the house too and am constantly trying to do blog while juggle running our household! Your tart is beautiful and I bet the hazelnuts were a wonderful! Lepo je naći nekoga iz “kraja” na ovim diskusijama.